Besides our Industrial Fans, we manufacture a wide range of fan accessories for air handling that can be used in combination with our fans manufactured in the same high quality as our other products. An access door is placed in the housing of the fan cabinet, and the location is indicated as time of day, seen from the motor regardless of direction of rotation. The fans can be mounted with an automatic lubricator mounted directly on the bearing housing or with a grease pump for lubricating several places with alarm when the pump is out of grease – contact BarkerBille for further information. The base of the console forms the foundation of the fan. A separate base frame for fans is available. The special base frame is used when placed e.g. on a steel deck. The base frame is made from profiles. The fans can be equipped with drain making it possible to empty the fan cabinet for any expelled moisture. 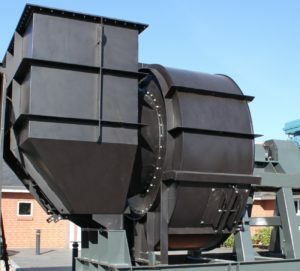 BarkerBille offers different customized CIP solutions for cleaning of the impeller and the interior of the housing. CIP solutions include customized CIP nozzles, drain, access door and shaft seals that are all approved by the FDA. The fans can be equipped with a cooling disc making it possible to use the fan for process air up to 300°C and above 300°C in a special design. The fans can be supplied with separate counter flanges for the pressure and suction sides for mounting together with the flex connection. The fans can be supplied with flex connections on the pressure and suction sides. The flex connections will minimize the transmission of noise and vibrations and also ensure that the fan itself shall not support the connection pipes. Suction and pressure sides should always be equipped with flex connections if the fan is equipped with vibration dampers. When choosing what type of flex connection to use, it is important to take into account air temperature, pressure and if the fans are to be used for flue gas. BarkerBille supplies different kinds of flex connections, which comply with current regulations. To learn more about BarkerBille’s solutions within Flow control, please see the page about dampers, guide vanes and frequency controllers. 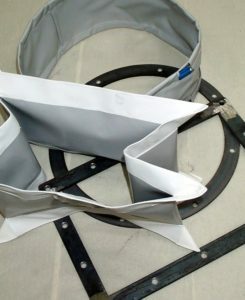 The fans can be supplied with a guide plate for protection of the flex connections. Guide plates should primarily be used for dust filled air, air speed above 20 m/s, pressure above 10,000 Pa and for flue gas fans. The fans can be supplied with reductions and junctions in standard or special measurements. The fans can be supplied with different types of shaft seals on request. Some examples: double simmer ring, labyrinth seal, wings on the back of the impeller, back suction, etc. Please contact BarkerBille if you have any special requests. The fans can be supplied in a spark-proof design. 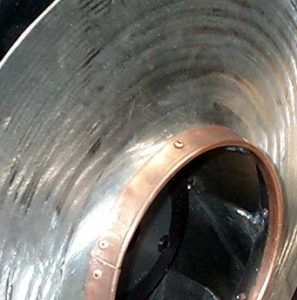 A copper ring is mounted on the inlet side of the impeller to prevent sparks. 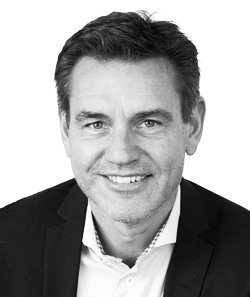 BarkerBille offers different solutions within speed monitoring. To minimize the pressure loss at the inlet, BarkerBille’s fans can be supplied with suction box that are custom-designed with guide plates to achieve an optimal airflow. BarkerBille offers different solutions within temperature monitoring. Vibration dampers for minimizing internal as well as external vibrations and noise can be supplied as optional equipment. 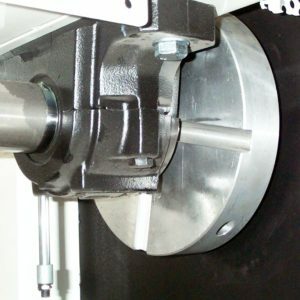 They are supplied with a mounting plate for mounting directly onto the foundation or similar. 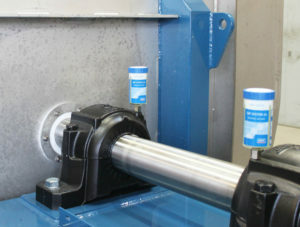 BarkerBille offers different solutions within vibration monitoring. The fans can be mounted with a wearing plate inside the fan housing for protection against wear when materials causing considerable wear are used/transported. The wearing plate is made as a covering, which can be replaced if necessary.